Ideally located in the prime touristic area of Sapporo Station, Cross Hotel Sapporo promises a relaxing and wonderful visit. Offering a variety of facilities and services, the hotel provides all you need for a good night's sleep. Take advantage of the hotel's family room, elevator, coffee shop, shops, facilities for disabled guests. Each guestroom is elegantly furnished and equipped with handy amenities. The hotel's peaceful atmosphere extends to its recreational facilities which include massage, spa, hot spring bath. 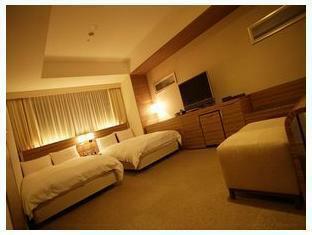 Cross Hotel Sapporo combines warm hospitality with a lovely ambiance to make your stay in Sapporo unforgettable.